You are here: Home / 3-5 / Want a Free Summer Reading Log Printable for Your Kids? 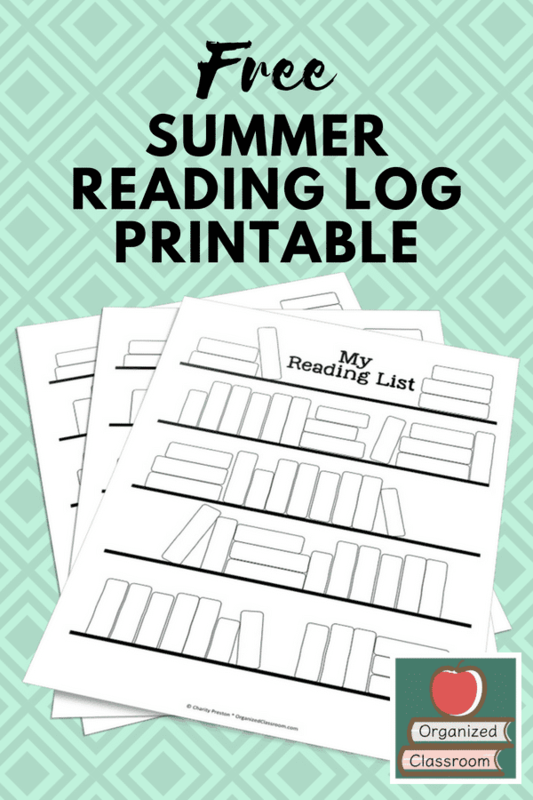 Want a Free Summer Reading Log Printable for Your Kids? 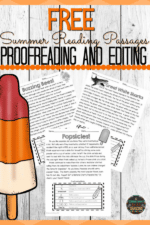 Summer reading logs are awesome for keeping kids engaged all summer long without even knowing they are learning! Some reading programs suggest using a reading template for a summer reading challenge. Luckily, I have you covered with a free printable log below! When I think back to when I was an elementary aged student over the summer break, I fondly remember a lot of bike riding, going to a friend’s house to swim in their above ground pool, and listening to Casey Kasem’s Top 40 (and trying to use a tape recorder next to the radio to try and tape my favorite songs). While most of those summer’s seemed the same, one really stands out for me: we had moved to a new neighborhood yet again (I was a very transient student) and didn’t have any close friends in the neighborhood yet. But, the local library was just 3 blocks away. It was that summer I found a love for reading like I had never before. It was an escape which led me to Sweet Valley High over and over. I really wanted to be one of those twins. Didn’t matter which because they both looked the same, right? HA! Why is summer reading important? 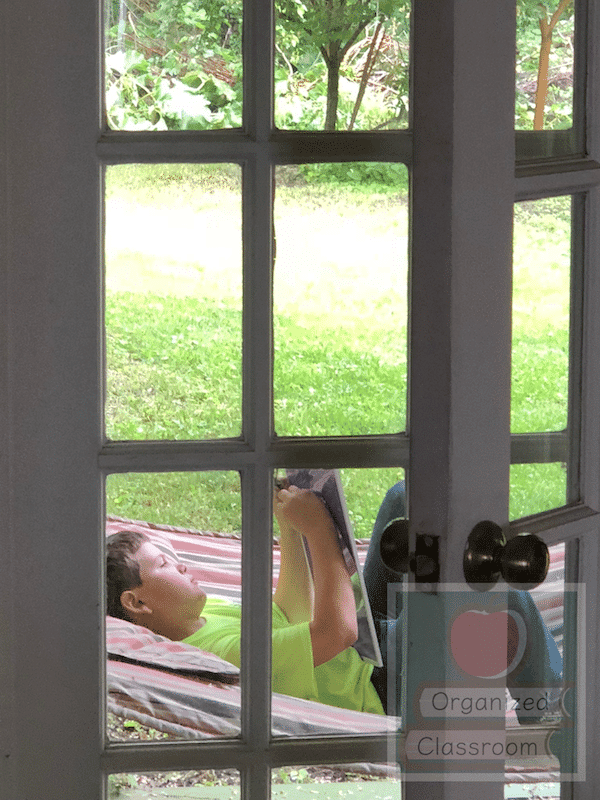 Summer reading can be that escape for kids who not only love to read, but those who need something positive to look forward to while they are out of school for so many days straight. Sometimes we forget that not every child has a positive home life. And summer break can be extremely difficult for some students. Reading may just be the breath of fresh air to help. Of course, we can’t overlook the “summer slump” of student learning gains/losses when they are not exposed to regular reading practice for 3 months either. When children find a way to keep their minds active throughout the summer, vocabulary increases and retention continues to strengthen. What is summer reading camp? Summer reading camp can be as complex as a formal program where an organization or school district meets with students regularly throughout the summer to practice reading and comprehension skills. Or it can be as simple as giving students a reading log like the one below and challenging them to fill in X amount of books over the summer and show you in the fall. Personally, I love children reading for the pure pleasure of reading, so I would always opt for the simple version. How do you encourage reading over the summer with your students? Leave us a comment below! 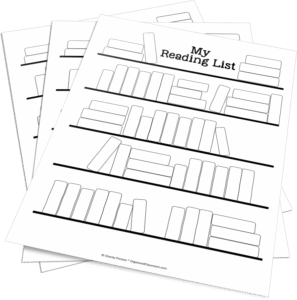 Can you use a free printable reading log for your students – or for keeping track of your own summer reading list? Fall Creativity and Reading Practice Freebie!